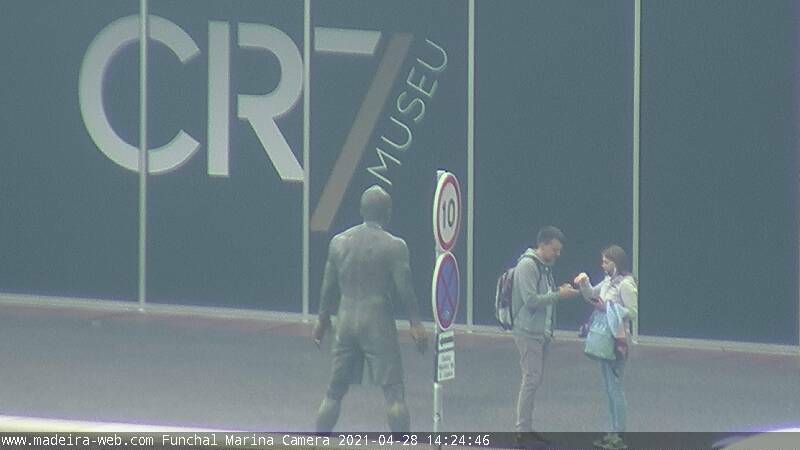 Cristiano Ronaldo's Bronze Statue and CR7 Museum - Would you like to take a selfie with Cristiano Ronaldo? Now you can! Well, at least with his bronze statue, in front of CR7 Museum’s main entrance, in Funchal. As you can see in this fixed webcam view, this popular spot next to Pestana CR7 Hotel, at Praça CR7, is always full of people taking photos. And, in case you don’t know, there is another statue of him at the Cristiano Ronaldo Madeira International Airport.